Mercachem is a leading contract research organization that supports R&D at companies and academic institutes across the globe. Quality is a very high priority for Mercachem, and they are always looking for innovative and efficient ways to deliver optimal synthesis methods. Easy access to current data is essential for their work. Knowing about all the possible reactions for a given compound synthesis can show the best way to produce the required amount in time to deliver to the client. Dr. Tommi Meulemans, Project Manager for Organic Synthesis at Mercachem, explains how Reaxys helps his researchers in this interview. 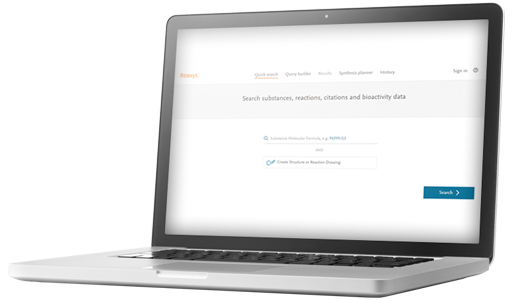 Because it's organized the way chemists tend to think about data, it's easy for them to construct searches and retrieve answers. They can check if a structure is already known, look at starting materials and even find out if they are commercially available, and then delve into the details of reactions and experimental procedures. In one particular case, after his team had spent two months struggling to get the yield they needed, an update to Reaxys provided an way to produce the compounds with the right yield. Reaxys is perfect as a play to learn information tool. Dr. Meulemans says that Reaxys is extremely easy to use, even for beginners, and always gives the data they need. It's the most suitable product in terms of content and functionality, particularly how the data are organized and how results are presented. In just two weeks, they were able to scale production of a compound from miligrams to hundreds of grams, thanks to information from Reaxys. Without Reaxys as a key information resource, I might be forced to spend a week in the library or face the prospect of repeating work that’s already been done.